Valentine's Day is right around the corner. Three weeks from today, in fact. I know some of you are thinking "What do I get that special him/her"...and Fashion In The Forest is here to help you with that! I'll be posting about great Valentine's gifts up until the big day! Today I want to spotlight EdenFantasys. Yes, they are an "adult" store (this post is totally clean by the way) but they have a lot of great G-rated items as well! We are giving away a $55 gift card to EdenFantasys as part of the Valentine's Day Giveaway Hop! The hop is open from February 1st to February 14th and features all your favorite bloggers giving away great V-Day goodies! Enter to win the $55 gift card by filling out the Rafflecopter form below. For instance, you can get this cute Heart Shaped Ice Cube Tray (a great friend or gag gift), or a hilarious board game like Dirty Minds (fun with friends or your significant other). How about a Heart Warmer, a gentle heat heart shaped pack that can sooth tired muscles. Unsure what to buy? That's okay --- try a Gift Card! 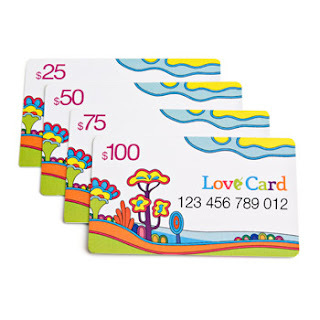 Gift cards are perfect for those hard-to-buy-for people plus they enable the recipient to choose whatever they like! It's a win-win! Click "Read More" to be taken to the Rafflecopter form. The Valentine's Day Giveaway Hop runs from 2/1/2012 to 2/14/2012.